Edgar A. and Florence were enumerated in the 1910 Centuria, Polk Co., WI, federal census. He was a potato buyer age 41, she was 27. 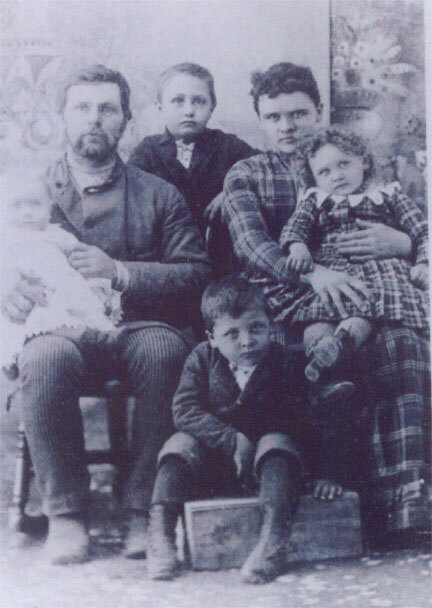 Children in the household were Oliver H. 8, Stanton L. 6, Alice 4, Bernice E. 2, and John L. 6 months. Edgar C. and Florence P. were enumerated in the Centuria, Saint Croix Falls, Polk Co., WI, federal census. He was 50, she was still 27. Children in the household were Oliver H. 17, Stanton L. 16, Alice 14, Bernice E. 12, John 10, a daughter 8, Luella 4, and Florence M. 1 month. Edgar A. and Florence P. were enumerated in the 1930 Centuria, Polk Co., WI, federal census. He was the manager of a potato house, 61, she was 47. Children in the household were John L. 20, Benjamin J. 18, Mina L. 17, Luella M. 14, Florence M. 10, and Helen L. 7. [S182] Social Security Death Index (on-line), Ancestry.com, SSDI, Ancestry.com, SSAN 701-16-4367. Stanton was enumerated in the 1930 Minneapolis, Hennepin Co., MN, federal census. He was a lawyer, age 26, boarding in the house of Hulda Walin on Eleventh St. S.
[S182] Social Security Death Index (on-line), Ancestry.com, SSDI, Ancestry.com, SSAN 473-18-6764. [S182] Social Security Death Index (on-line), Ancestry.com, SSDI, Ancestry.com, SSAN 518-03-7171. (?) Eaton married Alice Euteve Holcombe, daughter of Edgar A. Holcombe and Florence Phoebe Irish. [S182] Social Security Death Index (on-line), Ancestry.com, SSDI, Ancestry.com, SSAN 395-10-5636. [S182] Social Security Death Index (on-line), Ancestry.com, SSDI, Ancestry.com, SSAN 389-26-4254. [S182] Social Security Death Index (on-line), Ancestry.com, SSDI, Ancestry.com, SSAN 539-10-9674. Donald Edgar Holcombe was born on 17 September 1933. He was the son of Oliver Hudson Holcombe and Lida Linder. Alice F. Holcombe was born circa 1848 at NY.1 She was the daughter of Collins Holcombe and Sarah Hudson. [S557] Thomas Dudley Fenton, "Cyrus Holcombe," e-mail to James Hallowell Holcombe, 8 January 2004. Joseph M. and Eva M. were enumerated in the 1930 Wythe, Elizabeth City, VA, federal census. He was a joiner in a shipyard, age 22, she was 22. Children in the household were twins Joseph E. and Edwared E, 1 year, 6 months. [S182] Social Security Death Index (on-line), Ancestry.com, SSDI, Ancestry.com, SSAN 230-86-3616. [S182] Social Security Death Index (on-line), Ancestry.com, SSDI, Ancestry.com, SSAN 226-05-5287. [S182] Social Security Death Index (on-line), Ancestry.com, SSDI, Ancestry.com, SSAN 226-05-0340. Horace and Zollie were enumerated in the 1880 Delhi, Osborne Co., KS, federal census. He was a farmer age 28, she was 15. Horace and Xollie were enumerated in the 1900 Delhi, Osborne Co., KS, federal census. He was a farmer, age 48, she was 34. Children in the household were Leotus E. 15, Stella 13, Clara 11, Charles 6, Elmer 4, and Percy 2 months. Fort was enumerated in another household as a servant. Horace and Xollie were enumerated twice in the 1910 Kansas federal census. Horace and Xollie were enumerated in Wakeeney, Trego Co. He was 58, she was 45. 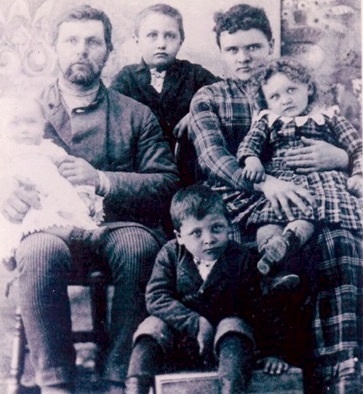 Children in the household were Charles N. 16, Elmer H. 14, Percy D. E. 10, Virgil 7, and Mabel M. E. 3. Horace was also enumerated in the Ogallah Twp, Trego Co., census. He was 58. Children in the household were Newton 16, and Elmer 14. Horace Seaver Holcomb, son of Edward and Priscilla Holcomb, was born May8 1852, near Binghampton, New York, and at the age of 5 years he moved with his parents to Wisconsin, and in the year 1872, he came to Kansas. He homesteaded in Osborne County in 1873, his farm being located 12 miles northeast of Luray. On February 29, 1880 he ws married to Miss Xollie Belveal and went to housekeeping on his farm where they resided for 26 years. There were nine children born to his union, three daughters and six sons -- Fort E. Holcomb, Willow Springs, Mo; Leotus E. Holcomb, Luray, Kans; Mrs. Olive Wallace, Cleo, Okla; Clara E. Jameson, Bellflower, Calif; Horace Elmer L. Holcomb, Willow Springs, Mo; Chas. Newton Holcomb, Sterling, Colo; Edward D. Holcomb, North Bend, Ore; Virgil I. Holcomb, Chanute, Kans; Mrs. Mabell Bidinger, Berthoud, Colo.
His occupation was framing and he worked early and late toiling with his hands to earn by the sweat of the brow the necessities for his family. There were lean years experienced to test the brawn of this pioneer father and husband. During the time when the older two sons were small, times were hard and the sturdy ambitious father secured work in the Ellsworth County coal mines and earned the honest wages which was directly applied to the family needs. Luxuries were an unknown quality back there. A team of oxen was the means of turning the soil and seeding the fields out of the prairie stage. At a later time this pioneer father joined a schooner caravan traveling hazardous roads across mountains and desert to California, taking months to make the trip. The old fashioned covered wagon mode of travel moved by inches vastly in contrast to the era this man of over four score lived to learn about. The wheels of motor cars speeding where once a bare trail existed. Home was always on the Osborne County farm until 1906 a deal was made for Graham County property and later Trego County where he maintained his residence. He visited occasionally with the son near Luray and took such great interest in gardening and caring for a small vineyard. He enjoyed planting seeds and cultivating the plants to the harvest. He wanted to be useful and busy. On an average his health remained rugged but he had failed gradually and in his final illness of these past weeks, his very moments were numbered. He passed away December 24, 1939, at the home in Wakeeney at the age of 87 years, 7 months and 16 days. Surviving him are his widow, Mrs. Xollie Holcombe and the unbroken circle of sons and daughters, 31 grandchildren and 40 great grandchildren. Other relatives are a sister, Mrs. Hulda Cherry, Geneseo, Ill., and one brother, Ralph Holcomb, Lincoln, Kans. The last two of the elderly lineage. He was a member of the Luray Masonic Lodge No. 153 A. F and A, M., being one of the first to join the order and retained this membership all through the long period numbering 45 years. A good husband and kind father has gone to his reward. He belonged to that great army of humanity whose days on earth were lived for the cause of progress and in preparation for the richer life which he realized and acknowledged he too must some day meet, and that way he traveled when on Christmas Eve he departed this earthly life, leaving besides his loved ones, a host of friends in Wakeeney and in Luray and the Cheyenne community where he lived many years. [S609] Dan Holcombe, "Horace Seiver Holcombe," e-mail to James H. Holcombe, 6 September 2006. Xollie Alfire Belveal was born on 8 August 1865 at Sigourney, Keokuk Co., IA.1 She married Horace Seaver Holcombe, son of Edwin R. Holcombe and Priscilla Delight Lyon, on 29 February 1880 at Beloit, Mitchell Co., KS.1,2 Xollie Alfire Belveal died on 16 May 1954 at WaKeeney, Trego Co., KS, at age 88.1 She was buried on 20 May 1954 at WaKeeney Cemetery, WaKeeney, Trego Co., KS. Xollie A. Belveal was born in Sigourney, Iowa August 8, 1865 and passed away May 16, 1954 at an age of nearly 89 years. She was married to Horace S. Holcomb February 29, 1880 and to them were born ten children, one of whom died in infancy. the survivors are Fort E. Holcomb of Willow Springs, Mo., Leotus E. Holcomb of Troy, Kans., Olive N. Wallace of DeRidder, La., Clara L. Jamison of Bellflower, Calif., Newton C. Holcomb of Sterling, Colo., Elmer L. Holcomb of Willow Springs, Mo., Edward P. Holcomb of Roseburg, Ore., Virgil I. Holcomb of Greeley, Colo., Mabel Biddinger of Phoenix, Ariz., and also many grandchildren and great-grandchildren, a number of great-great-grandchildren and four living sisters. Trego County has been their home since 1904, they having moved to WaKeeney from a farm in 1908. Her husband preceded her in death in December 1939. Funeral services are being held May 20 from the M. E. Church at WaKeeney. Interment is to be at WaKeeney Cemetery. Percy Dudley Edward Holcombe was born on 2 April 1900 at Osborne Co., KS.1 He was the son of Horace Seaver Holcombe and Xollie Alfire Belveal.2 Percy Dudley Edward Holcombe married Eldora Hoover on 11 June 1919.1 Percy Dudley Edward Holcombe married Doris Lenore Ward on 17 August 1940 at Shelton, WA.1 Percy Dudley Edward Holcombe died on 14 May 1965 at Roseburg, Douglas Co., OR, at age 65.1 He was buried at Roseburg Memorial Gardens, Roseburg, OR. Ed was a millworker employed by Douglas County Lumber Co., and was a member of the IWA Local 3436 of Roseburg at the time of his death. He enjoyed gardening and always had a large vegetable garden. [S182] Social Security Death Index (on-line), Ancestry.com, SSDI, Ancestry.com, SSAN 544-05-3657. [S560] Joan A. Hunter, "John Holton." [S182] Social Security Death Index (on-line), Ancestry.com, SSDI, Ancestry.com, SSAN 367-14-8554.